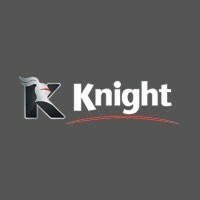 Here at the Knight Automotive Group, we have had the honour of serving the needs of Canadian drivers for over 40 years. We’ve naturally become one of the largest dealer groups in the country. We like to think that’s because we continue to offer a home town atmosphere and respond to the changing needs of everyone that walks onto one of our lots, and that’s only become truer as time has gone on. After all, being such a large dealer group lets us buy in bulk. That comes with its perks, and we’re always happy to pass those perks on to the consumer. Need on the spot auto financing? How about an advantageous loan deal despite having bad credit? With the Knight Automotive Group, those issues just aren’t relevant. From pre-owned vehicles to brand-new models, we can provide anything you’re looking for at unbeatable prices. We even offer a shuttle service to help you reach us if you’re currently out of a vehicle. If you’re in the market for parts, whether you own a heavy-duty truck or for a hatchback, we can find what you need and have it shipped direct. If you’d prefer us to do that work for you, well, that’s what each of our service centres is here for. We’ve really gone the extra mile to take care of every need.